French beauty might bring to mind words like “effortless” and “natural”—but who says it can’t be whimsical, too? Parisian designer Olympia Le-Tan became a fashion world darling when she launched her eponymous line of literature-inspired clutches, and this fall, she’s expanding into beauty. 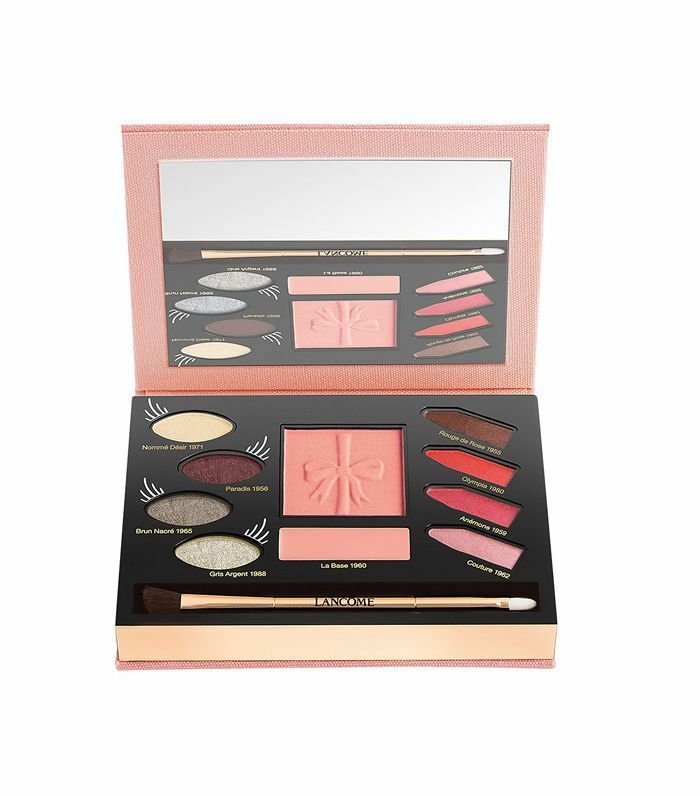 Lancôme has enlisted her to dream up a playful collection of lipsticks, liners, and more, but the standout product is definitely the palette. Named Olympia’s Wonderland, it contains everything you need to create a chic French-inspired look. I tried it out and instantly fell in love with the shades included—there are few palettes that contain only colors you’ll actually want to use, and this is one of them. Each of these shades is a reworked version of a color Olympia Le-Tan chose from Lancôme’s archives and updated, so there’s a little slice of history in there too. The shadows aren't the most pigmented, but I actually like how sheer they are; they're blendable and create a nice, natural-looking effect. My favorite part of the palette? The lip powders. Layered on top of the lip base, they give that perfectly blotted, slightly matte look with none of the dryness that comes from matte lipsticks or liquid lipsticks. Watch the video above to see me test it out and shop the palette below. Click here to see more our editors test more buzzy new beauty products in our video section.